NEW & USED SODA VENDING MACHINES FOR SALE! CAN & BOTTLE SODA POP VENDING MACHINES! Please contact these soda vending machine suppliers direct for more information about their vending machine details & pricing. Automated Services LLC. specializes in top quality vending machines, whether you need reconditioned, location ready, or as-is equipment. You can count on Automated Services, LLC for the best value. We have been proudly serving the vending industry since 1972 under the same ownership and management, as both operators and sellers of full line vending machines. Ask about our specials… Call 800-727-8363 today! Visit website: www.vendingmachinesetc.com. Avanti Vending Machines • AP1927 Combo on Sale! Save thousands on new machines! • Cassette refrigeration unit. Slides out. Candymachines.com is family-owned and operated specializing in candy, gumball, sticker machines, gumballs, candy, and other bulk vending supplies. For over 20 years, Candymachines.com is in business to help your business succeed. Charitable Vending Management from the original dream of founder F.A. Wittern. Since 1931 our company has produced over 2 million vending machines. We sell high-quality Snack, Soda, Combo’s, Food, Deli, Bottled Drink vending machines. NEW Vending Machines at Factory Direct Prices! Zero Down Financing! Call 1-800-454-2454 today! Gumball.com is THE gumballs & gumball machine megastore! SODA VENDING MACHINES FOR SALE! We got our start in 1993, we stock a wide array of vending products ranging from the classic bubble gumball machine to professional grade snack and soda machines, bill changers, bulk gumballs, super balls, flat vending-stickers, toy capsules, replacement parts and more. It’s in our name and we promise our gum balls and bulk candy will always be fresh. To shop online now go to www.Gumball.com. 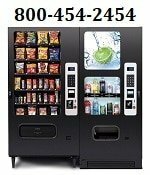 VendingMachineSales.com has been in the vending business since 1960, we are one of the largest distributors of Fawn Vending Machines and have sold more than 250,000 vending machines for our manufacturer. Being that we are in direct contact with our manufacturing facility we offer our machines at FACTORY DIRECT PRICES USA! We will match or beat any legitimate price! Customer satisfaction is our #1 priority. Visit: www.VendingMachineSales.com. Vending World – Buy your machines online and have them shipped or pick them up your self at our facility in Rancho Cucamonga, California. We have 30,000 sq. ft building, we have hundreds of machines in stock. USA Contact Randy.